Offering a restaurant and bar on site, Kalum Motel is located in Terrace, only 10 m from the Terrace Boat Launch on the Skeena River. 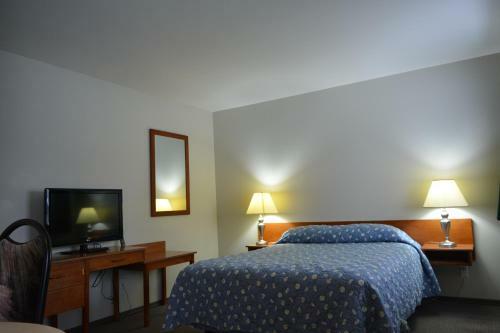 Each room provides a microwave, refrigerator, and coffee machine.A flat-screen cable TV and free WiFi are provided in each guest room at this motel. A work desk is offered. A private bathroom includes free toiletries and a shower.The surrounding gardens offer BBQ facilities. Laundry services are available on site. Free parking is offered to all guests, and can accommodate any size car or truck. Kleanza Creek Provincial Park is 20 minutes' and Hai Lake-Mount Herman Provincial Park is 31 minutes' drive from the property. Terrace Airport is 12 km away. 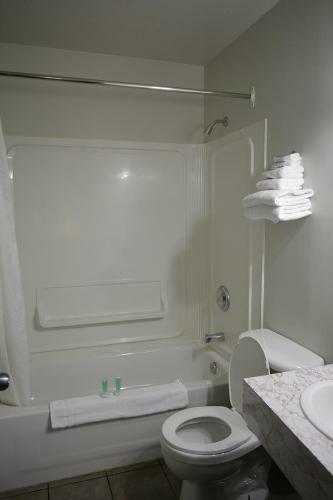 Budget Queen Room - Featuring a flat-screen TV and free WiFi, this room offers a private bathroom with free toiltries. A microwave, refrigerator, and coffee machine are included. A work desk is included. Family Room - Featuring a flat-screen TV and free WiFi, this spacious room offers a microwave, refrigerator, and coffee machine. A private bathroom includes with free toiltries. A work desk is included. 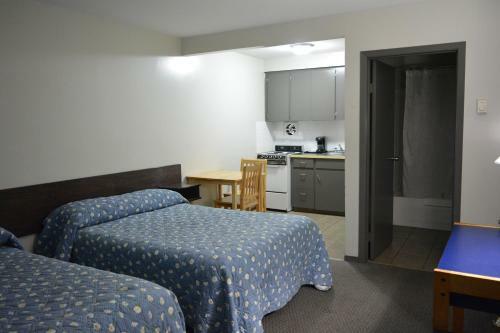 Double Room with Two Double Beds with Mountain View - Featuring a flat-screen TV and free WiFi, this spacious room offers a full kitchen with an oven, microwave, and coffee maker. A private bathroom includes with free toiltries. A work desk is included. A view of the mountains can be enjoyed. Queen Room with Kitchen - Featuring a flat-screen TV and free WiFi, this spacious room offers a full kitchen with an oven, microwave, and coffee maker. A private bathroom includes with free toiltries. A work desk is included.